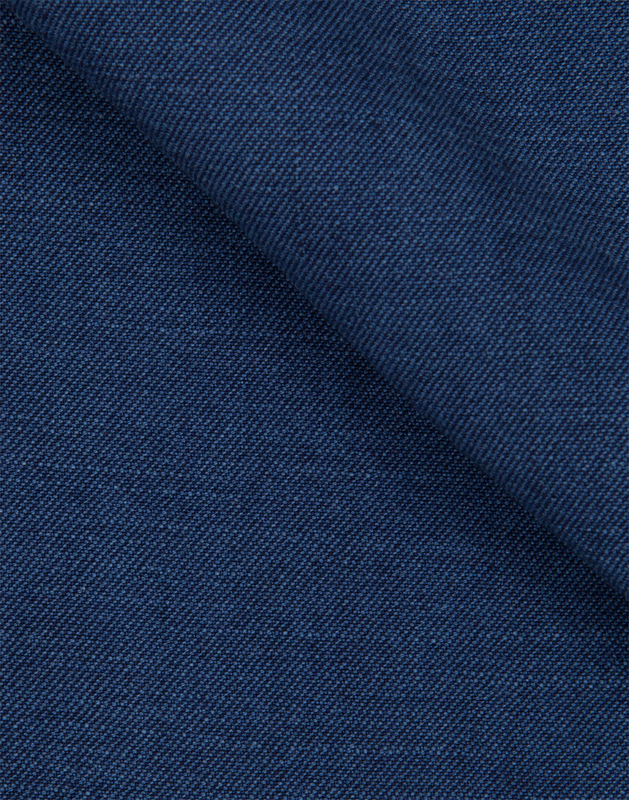 Italy's quality raw denim in a deep indigo blue color. 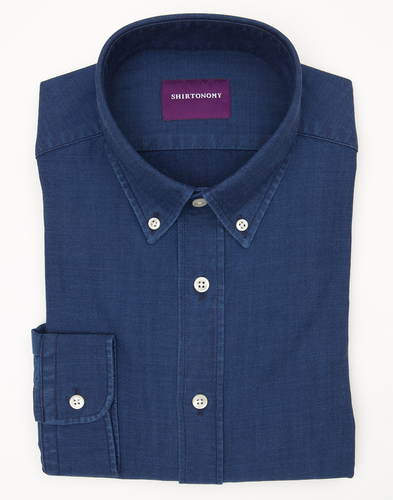 The indigo color fades with time and the fabric takes on a wonderful patina and worn look. 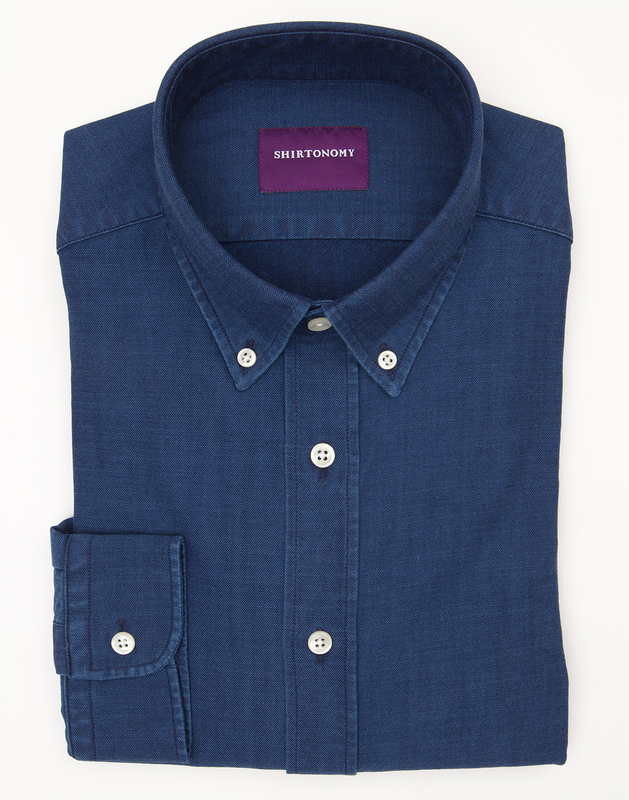 The fabric is normally combined with a button down collar to give it a classic relaxed look. 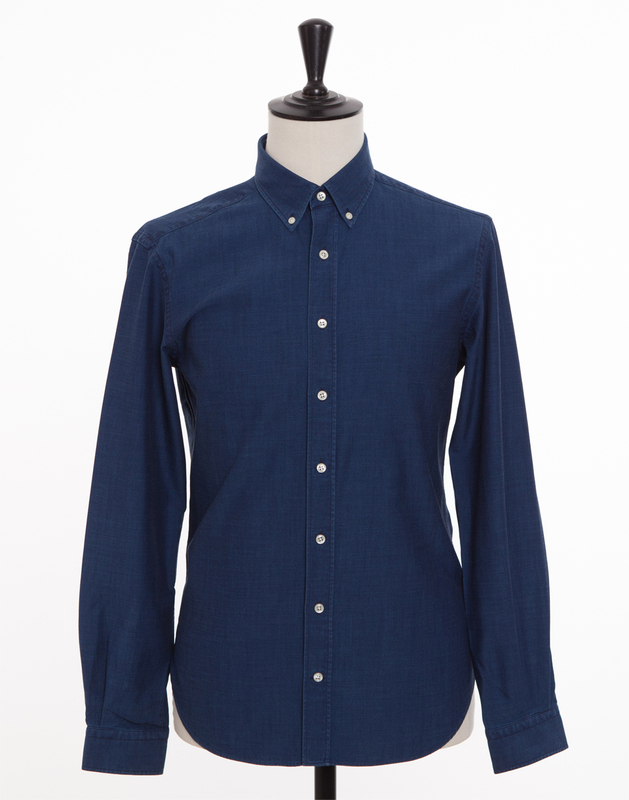 Another alternative is to combine it with a Tudor collar and mother of pearl buttons to create a little more "sprezz". 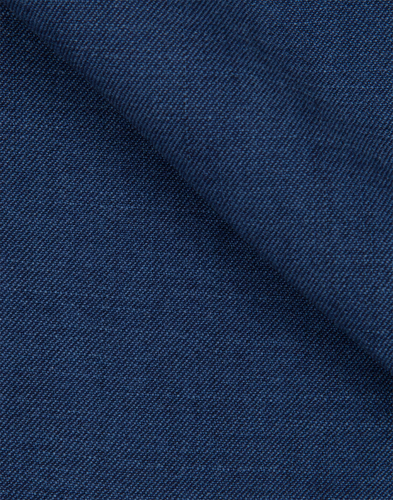 The fabric is woven in Italy and has a great softness and feel. NOTE: As with all untreated denim fabrics, this fabric will bleed naturally, both through everyday usage and when washed. Please ensure you wash the shirt with similar colors andthat you avoid contact with light clothes and furniture that you do not want to risk discoloring. The shirt in the picture illustrates how the fabric will look after approx. 10 washes.